The place where Sand gets everywhere! “The Winterless North”, long stretching sandy beaches, clear sea: sounds like paradise right? But don’t forget, this is New Zealand. Sure there are places to relax for a beach holiday experience, but Kiwis always find a way to make use their surroundings for fun and epic activities! Take sandboarding down huge sound dunes, using a beach as a highway, and parasailing in between islands, for instance. The very north of New Zealand is a sacred place for Maori. Visit a historic place as this is where the Europeans started migrating to New Zealand and where the Waitangi Treaty was signed in the Bay of Island. A unique sight awaits at Cape Reinga where the colours of Tasman Sea and the Pacific Ocean collide. Head inland to explore ancient kauri forests holding some of the largest trees in New Zealand. See magnificent waterfalls and explore glowworm caves as part of your road trip up north! Discover the glowworm caves in Waipu. See loads of sights for free at Whangarei, such as Whangarei Falls. Go to the beaches of Tutukaka Coast and dive at Poor Knights Island. Explore the islands and swim with dolphins at the Bay of Islands. Go to the very north at Cape Reigna and drive down the sand highway, 90 Mile Beach. See the most giant tree trunks of your life on the Kauri Coast. Why poo? That is how you pronounce the town’s name (just one of the 10 funny place names in New Zealand). But all immature jokes aside, Waipu makes a good break on your journey up north. You can go on a bit of an adventure by taking an unguided tour through the stalactite caves lit up by glowworms. And you can do this for absolutely free! Stingy backpackers rejoice! The caves are 5 minutes north of Waipu. Take the Waipu Cave Walk from Ormiston Road. Speaking of free activities and walks, the Waipu Coastal Trail to see untouched rocky beaches, native bush, and limestone rock formations. Allow 1h30min 1 way. Waipu Cove and Langs Beach in Waipu are also worth a stroll along or a surf. See a wonderful waterfall by taking the Piroa Falls Walk in the Waipu Gorge Scenic Reserve. It is only a 10min walk but is quite steep. Whangarei is a backpacker’s dream because all the main sights and activities in this harbour town and surrounding area are either free or cheap! There are some fun and slightly quirky places in the city, such as Claphams Clocks – The National Clock Museum. Find out for yourself why clocks warrant their own museum… And see a quarry turned arts centre at The Quarry Arts Centre. This location also holds the Quarry Gardens. Seeing a kiwi is on everyone’s New Zealand bucket list but many leave without getting to see this native bird. Kiwi North has a Kiwi House to view the national icon, as well as a museum for regional Maori, European and natural history. For more bird sightings get yourself to the Native Bird Recovery Centre, a refuge for injured birds before being let back out into the wild. The centre has short opening hours so be sure to check them out before visiting. In the surrounding area, there are a handful of scenic highlights perfect for feeding your camera. 5km from the city centre is the pretty Whangarei Falls. This is also the start of a walk to the AH Reed Kauri Park, home to 500-year-old kauri trees. These trees used to cover the majority of Northland. For views of the city and a pleasant bush walk, head up Mt Parihaka. The mountain used to be a pa site (Maori lookout) and it now has walking trails and mountain biking trails. Our final scenic walk is through the natural rock formations and outcrops of Abbey Caves. The car park for the caves is off Mill Road north of the city. For more things to do in Whangarei, check out Whangarei – Guide for Backpackers. 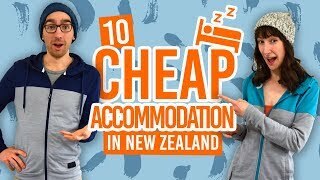 Accommodation options are listed in the Accommodation Guide to Whangarei and 5 Best Backpacker Hostels in Whangarei. Swim, surf and dive off the Tutukaka Coast. Take on Sandy Bay with surf lessons and equipment hire nearby. Or for those who just want some bodyboarding fun, go to Wooley’s Bay. The drive along the coast brings you across many sandy beaches in general that are safe for swimming or strolling if you don’t want to get wet. Alternatively, you can start a walk from Matapouri Bay for a good swimming beach then follow the walkway to Whale Bay also lined with forest and pohutukawa trees, which bloom red flowers in summer. From Tutukaka Marina, you can do one of the most famous diving spots in New Zealand: Poor Knights Island. This island attracts fish not found anywhere else in NZ due to the current from the Coral Sea. Find out some more awesome diving spots here: 7 Places to Scuba Dive in New Zealand. Aptly named by Captain Cook when he saw the bay looking out to 144 islands back in 1769, the Bay of Islands is a hub for water activities and significant history. Waitangi was where the Waitangi Treaty was signed between Maori chiefs and the British Crown. It is particularly famous for the misunderstanding in the treaty resulting in the Maoris losing land and it was vague on who actually governed the country. Paihia is a backpacker central. Many make Paihai their base while exploring the islands off the bay, swimming with dolphins, snorkelling, diving, kayaking and parasailing. Kerikeri has beautiful river walks, the Rainbow Falls, chocolate tastings and wineries. You can also visit New Zealand’s first capital city, Russell. To get more inspiration for things to do in the Bay of Islands, check out: Bay of Islands – Guide for Backpackers, as well as places to stay in 8 Best Backpacker Hostels in Paihia. 90 Mile Beach is probably the only highway in the world signing people to speed up! A few cars and buses have got stuck in the sand throughout the years, so a lot of insurances won’t cover any damage caused by the beach. Plus, you will find it difficult to find a car hire that will allow it. For those who do get their car on the beach, be sure to wash it afterwards as saltwater can be damaging. On the bright side, driving on a beach is fun and if you drive through shallow water on a sunny day, you can create little rainbows. Pretty! Cape Reinga and Spirits Bay is a spiritual place for the Maori. As the name suggests, this is where spirits come to meet before leaving the land. Some people use it to say goodbye to deceased loved ones. Some come here to see the Tasman Sea and Pacific Ocean collide, some use the most northern mailbox there to make their postcard ‘special edition’, and others come to get a picture with the lighthouse and city sign showing how far away from home they are. It is the most accessible northern point of New Zealand. In fact, the Surville Cliffs are 4km further north – that’s awkward. The westside of Northland is often overshadowed by the touristy spots like 90 Mile Beach, Cape Reinga and Bay of Islands. The Kauri logging industry is what this district is renowned for. Kauri trees are ridiculously gargantuan trees where its crazy expensive wood is used to make all sorts of crafts such as furniture, art, and even staircases (see picture). Judging by the array of museums and shops dedicated to Kauri wood, you can tell its importance to this part of Northland. Dargaville is the main town in the Kaipara District of Northland. Sights include the historic shipwreck at Ripiro Beach, the view from the summit of Tokatoka Peak and Kai Iwi Lakes for sailing, swimming and water-skiing. For wildlife encounters, the Trounson Kauri Park does guided night tours to see kiwis, glowworms and Kauri snails in the wild. Go to Tarten Week starting 1-July in Waipu. Waipu’s original settlers were Scottish so there is a whole festival dedicated to kilts, tartan, whisky and tartan rugby. This week also holds the Highland Games: the biggest Scottish games… In New Zealand. Learn about the great migrations in New Zealand by visiting Waipu Museum. Pick up some bargains at the Water Street Growers Market and John Street cat boot sale on Sunday mornings in Whangarei. Visit the most northern town in NZ, Kaitaia for 4WD treks, blokarting on the beach and surfing. It is the closest town to 90 Mile Beach and Cape Reigna. For epic surf breaks go to Ahipara. In fact, it has been said to be one of the best left-hand breaks in the world! 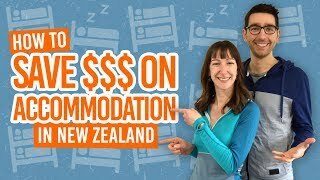 Where to stay in Northland? For more accommodation options, check out the Accommodation Guide to Whangarei.